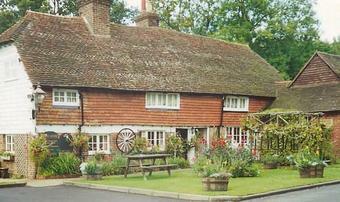 I visit this pub on a reglar basis - I tend to use the Village Bar more than the saloon bar (Village Bar = Public Bar). There is always a warm welcome and the locals are also very friendly. If you're from out of the area, you are made to feel most welcome. Olde-Worlde mixed with �new-ish but a bit tired�. The landlady having a fag at the front door was a bit off-putting but I suppose she�d only smoke out the back otherwise so hey-ho. The owners seem to be East European or something but spoke great English, were pleasant and very helpful. Only a couple of beers but both on top form, food good but not cheap (yes we�re Northern) and they have Wifi if you�re interested. Worth a call. A tradional looking pub that offers even more on the inside. Good bar and restaurant with very friendly service. The Harvey's Best was in excellent condition and the home-cooked food was good value and a notch above the usual pub fare. A pub definitely on the up and well worth a visit. It's a very old traditional pub serving local real ales to my delight making it a must visit, staff were very polite and helpful. We popped in for a drink after our nature walk so we decided to have food for six of us. As a chef myself for many years I enjoy my food which was better than I expected from a rural pub/restaurant real home-made food on the premises rather than a factory home-made, and from my expertise not a single microwave used as the meal was juicy and succulent. I would definitely visit again if one thing was changed and this being the prices on the menu, I understand that home cooked food costs a little more than pre packed microwave food, but still far to expensive with fine dinning prices but for real good pub grub. I myself had there stuffed chicken breast which could not of cost them more than �2 a meal but selling at a price of �12.95 making a profit of around �10.95 which for a meal that was very tasty the price leaves a sour taste once we paid our bill. This I believe is why they were very quiet on a Friday evening a word of advice lower your prices and therefor more people will visit and you will end up receiving more money/profit then they are bringing in now. These are the sort of steps taken by a big industry business who end up taking at least 4 times the amount of customers and turning over a larger profit. Other than that a very lovely pub great ales/beers and very good food a must visit if you have money to spend or special occasions.